Kerala has been battered by worst floods in a century, almost one million people have been displaced and 373 have lost their lives due to the rains and flood. Thousands of people are trapped without basic necessities. 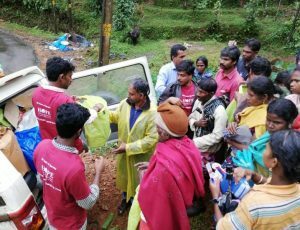 HOPE responded with its dedicated staffs and volunteers by sending relief materials to the affected areas such as Panavalli, Kattikulam, Irumanthur, Mullal, Edathana, Manathavady, Palakad etc.